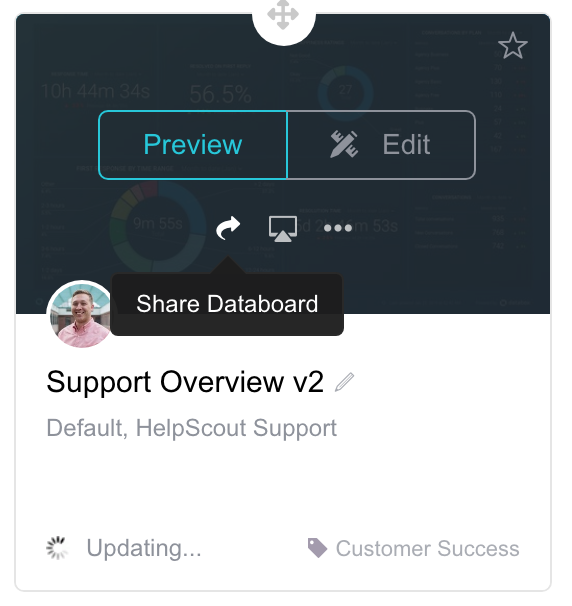 Carousel Mode will loop multiple Databoards together through one Share URL. You can choose which Databoards to include in the Databoard Loop and how fast you would like the transition between them. Use the instructions below to enable Carousel Mode for your Databoards. Open Additional settings and enable the C arousel Mode. Click Add Databoards to select additional Databoards to add to the Databoard Loop. Choose how long you want each Databoard to display before moving to the next. 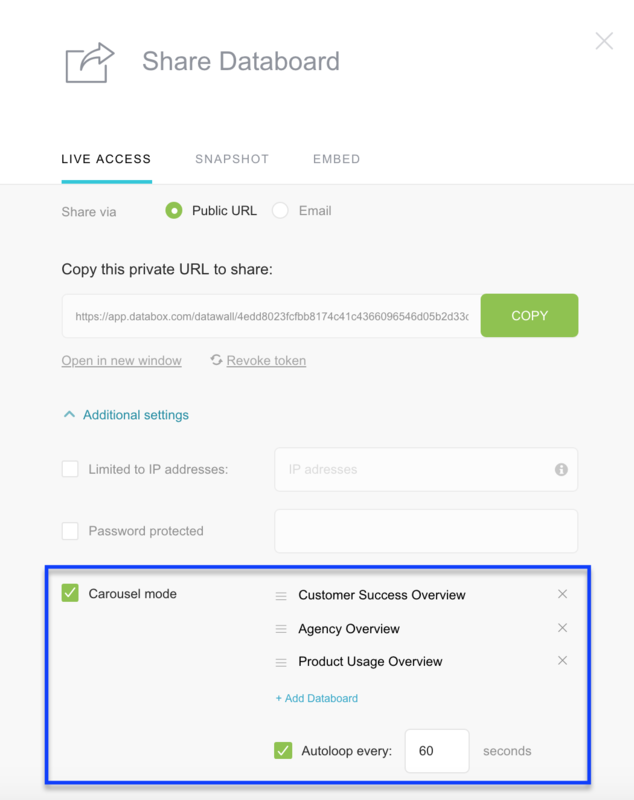 Open the Live URL in your browser to view the Databoards in Carousel Mode. At the bottom you'll see options to Pause or Play the Databoard Loop or toggle through the Databoards manually.